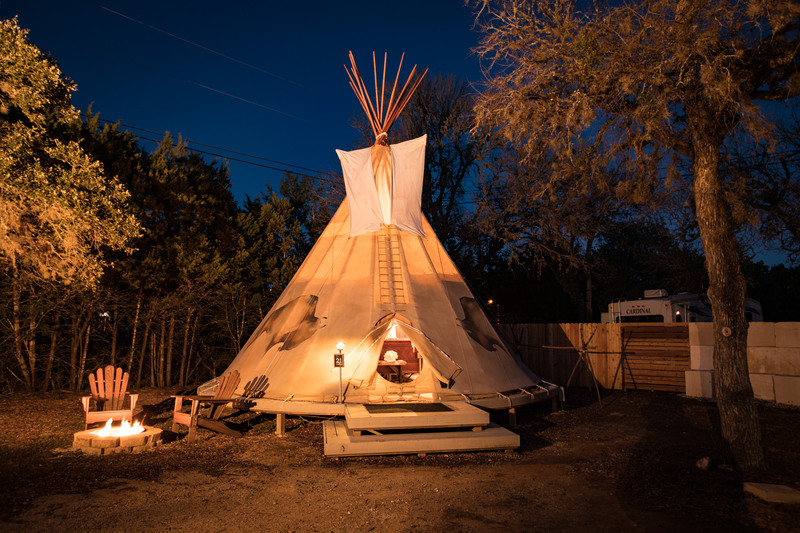 From our modern tipis to our tiny houses, there's something for everyone at Mystic Quarry. Even our primitive campsites have close access to recently renovated showers, bathrooms, and laundry equipment. 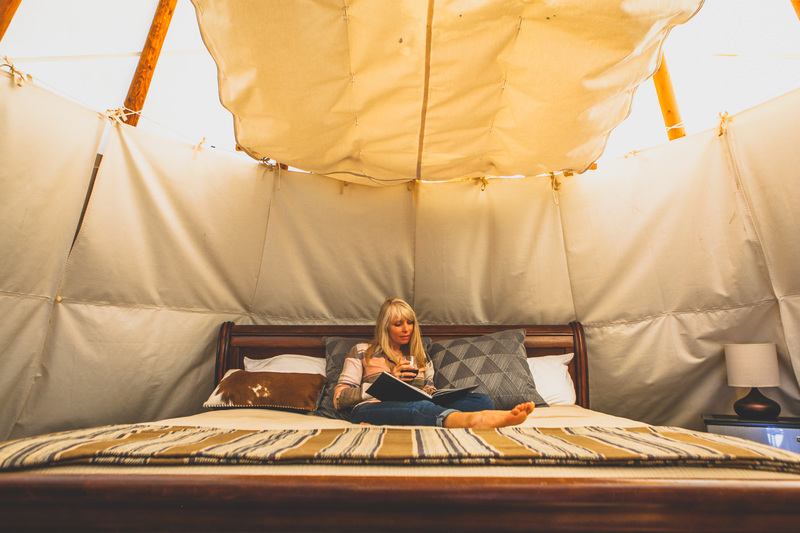 You may even have trouble deciding what kind of glamping you want to do! For a better idea of our accommodation styles, scroll through our many pictures to find the perfect level of luxury for you. Apart from our housing options, our community areas come with everything you need for a comfortable camping experience. From our recreational hall complete with 4 TV's, Wi-Fi, an exercise room, a rooftop deck for sunset parties, to our on-site general store complete with local beverages and campfire snacks, we designed our campground with today's camper in mind. In addition, the Mystic Quarry team is always ready to help you whenever you need it. 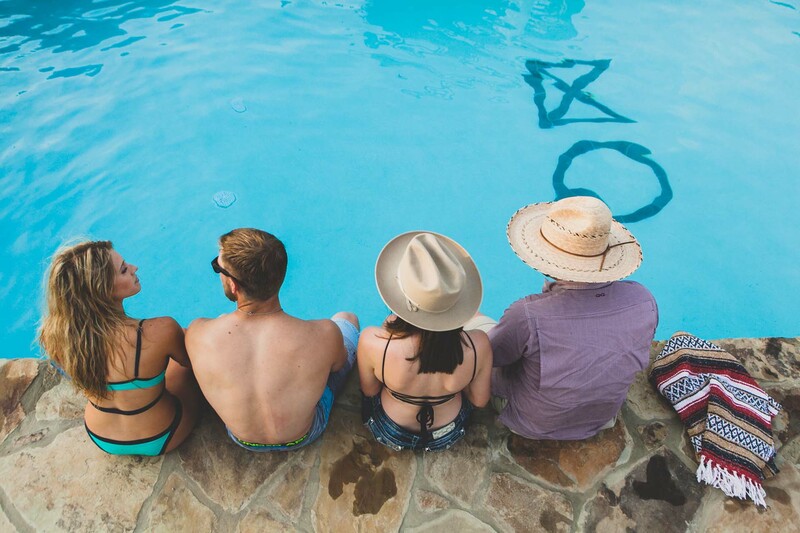 For those who want to soak up the sun, we offer horseshoes, swimming, a bocce court, volleyball and more on our campgrounds. Enjoy a dip in the pool or explore one of our many nature trails during the day, and come back to your comfortable bed after a long day of activities. If you wish to explore the surrounding Texas Hill Country, our shuttle service can take you to attractions including the Whitewater Amphitheater, Whitewater Sports and River Sport Tubes, and nearby dining, shopping, and entertainment options. If you enjoy more of the festival atmosphere, the Canyon Lake area holds all sorts of events such as the Folkfest, Jazz Fest, Old Settler’s Music Fest, and Wurstfest. Plan your glamping experience during one of these times, and enjoy transportation worry-free! Mystic Quarry has all that you could want in a contemporary campsite and more. Whether you want to call it glamping or modern camping, you won’t have to give up your modern amenities just to enjoy the outdoors. Contact us today and start planning your trip!